We’ve basically recovered from our recent foray down to sunny Florida, and while some of our dealer friends are braving the trip out west to the Granddaddy of them All (Long Beach), we’ve decided to stay home and continue to clear up all of the coins we’ve been adding in the past few weeks. In fact, we’ve come across a record number of incoming packages this week, and Matthew and I have been trudging through them dutifully trying to get back with each of our customers regarding the items they are looking to auction, sell, or trade. Overall, it’s been a blast, and we’ve had a lot of fun working with friends, both old and new. While there’s nothing particularly noteworthy to discuss, we’ve simply kept our nose to the grindstone and continue to work on churning out new coins for our customers. Next week we’ll chime in on a few notes from our conversations regarding several new developments in the hobby, from grading to collecting to shows, and we hope that some of you will find that interesting. If you have any inquiries that you’d like me to address individually, don’t be shy about passing those along, and we’ll do our best to tackle them! Thanks for reading and best of luck in your collecting! Why we love it: A much scarcer Civil War Date Liberty Seated Quarter in which this example is tied for the finest known at NGC. This gorgeous ultra-gem exudes eye appeal with its stunning luster, perfectly pristine surfaces and lovely pastel toning. This color is light yet vibrant and is highlighted by yellow-gold and rose-gold with pretty blue-green and lavender hues. This piece would certainly be a cornerstone of any major collection. Value: The NGC Price Guide value for this finest known gem is set at $40,000, which is a bit generous. 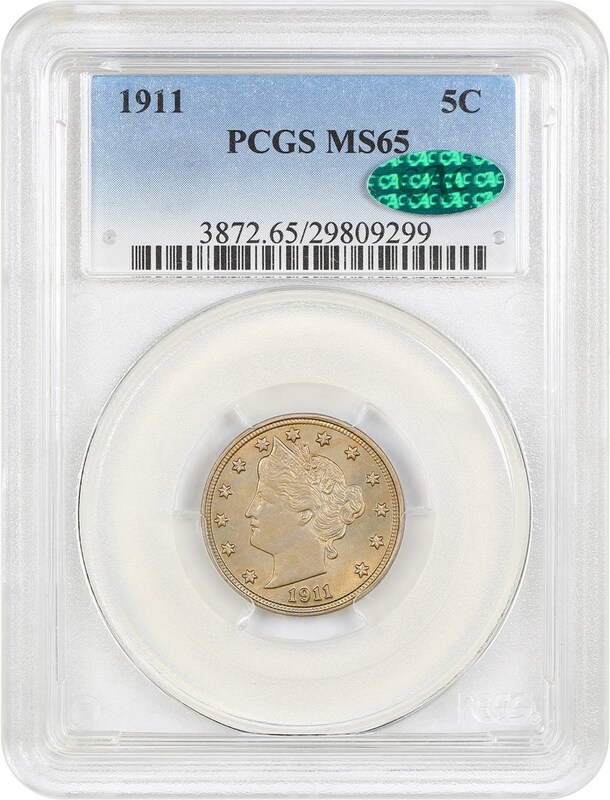 This coin is certainly one of a kind between no better graded example and the incredible toning, leaving it arguably incomparable to any price guide. It is reserved extremely fairly in our eyes at just $29,000 in this week’s auction. Why we love it: A relatively affordable Mint State example of this popular and desirable Charlotte Mint Half Eagle from a low mintage of just 44,277. Its lustrous yellow-gold surfaces without too many contact marks make it a nice example of the grade. Value: The PCGS Price Guide and CPG Value are off by just $100 bringing even more certainty to the accuracy of their evaluations for this coin at a respective $12,500 and $12,400. 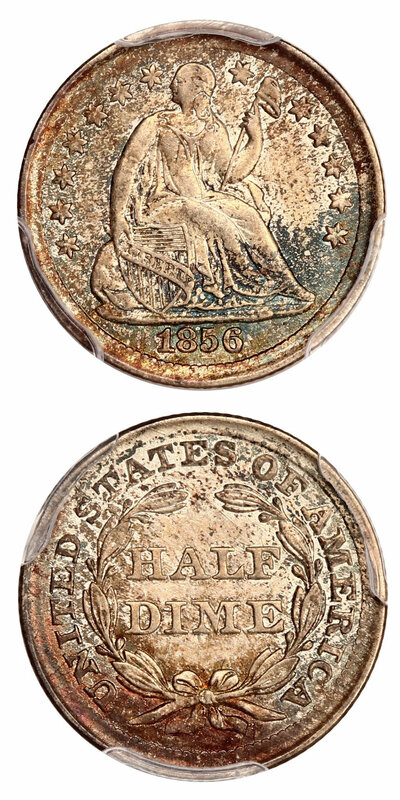 This scarce yet somewhat affordable C-Mint Half Eagle is available via Make Offer at just $11,000. Why we love it: In all grades, this date has some scarcity and great desirability to it; however, it becomes a true rarity in gem level grades. This piece is the lone finest known piece graded by NGC. Beautifully reflective surfaces highlight the lack of noticeable marks and the excessive eye appeal coming from its blazing luster and fully blast white look. Value: The PCGS Price Guide and CPG Value are extremely high on this piece as it is hard to value such a one of a kind item at $50,000 and $54,400 respectively. 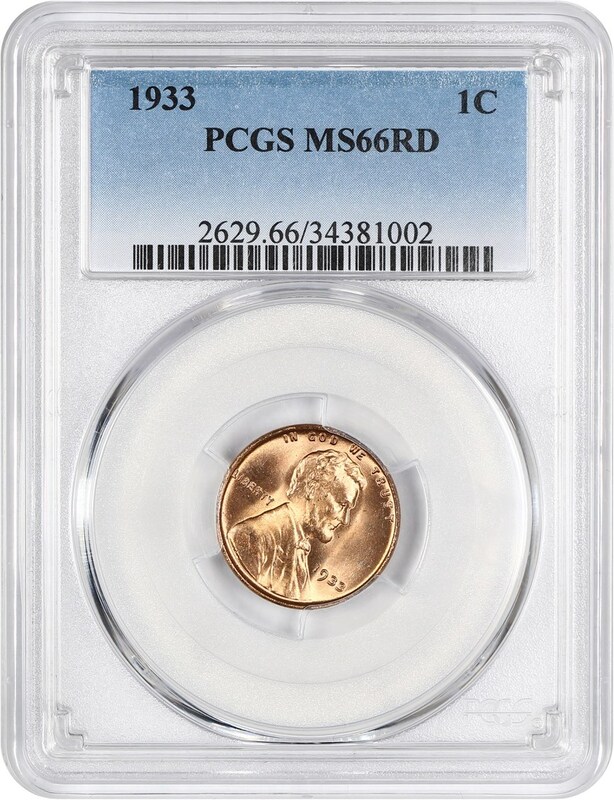 This NGC-graded stunner is in this week’s auction and reserved reasonably at just $20,500, far below either price guide. Why we love it: A scarce, early Liberty Quarter Eagle struck at the popular Dahlonega Mint from a mintage of just 19,303 coins. This gorgeous piece displays incredible luster and pretty, bright yellow-gold coloring. The surprisingly minimal amounts of marks for its MS61 grade makes this coin well-deserving of CAC approval. Value: The most recent sale of this exact coin, the PCGS Price Guide and the CPG Value come in at the respective prices of $11,250, $11,500 and $11,900 for this coin. This lustrous Dahlonega Mint Quarter Eagle is available in this week’s auction reserved right in that ballpark at $11,750. 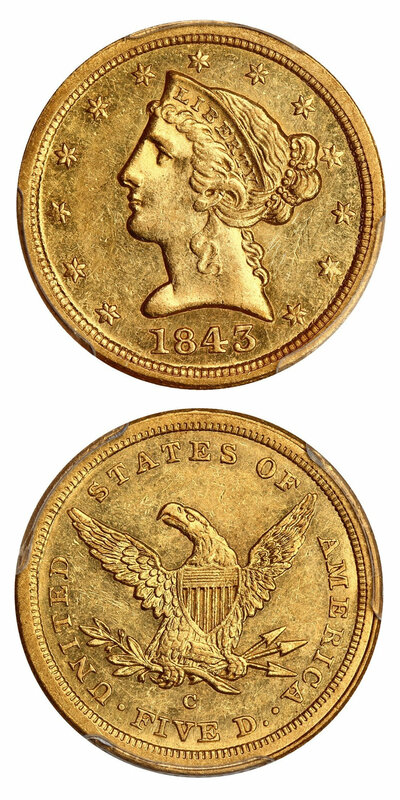 Why we love it: A popular and scarce Carson City Minted Liberty Double Eagle from a mintage of just 18,402. Surprisingly nice for the issue with its limited contact marks and strong strike in which no example exists any more than just one grade finer. The eye appeal is ideal between the smooth even golden color and fully original stunning luster. Value: The most recent sale of this exact date and grade combination, the PCGS Price Guide and the CPG Value come in respectively at $18,000, $23,000 and $22,400 for this coin. This lovely, desirable Carson City Mint Double Eagle is available in this week’s auction reserved below all three at just $17,500. 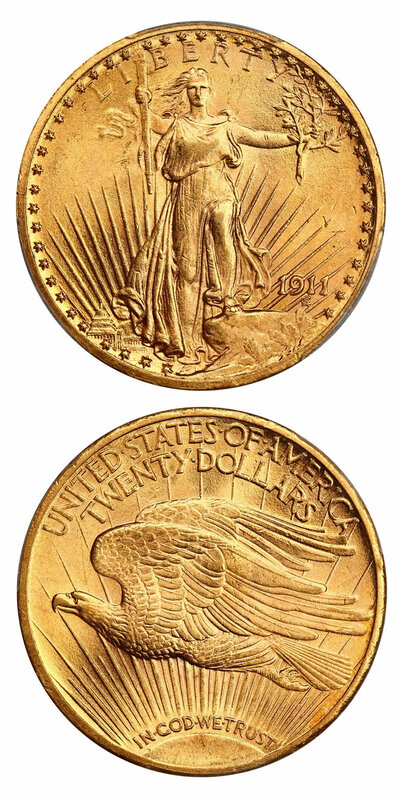 Why we love it: This date is known for being slightly better when it comes to P-Mint St. Gaudens Double Eagles, especially in gem grades. A gorgeously flashy gem with copious amounts of luster, this coin would rival the technical aspects and eye appeal of any gem level Saint on the market. Value: The most recent sale of this exact date and grade combination and the PCGS Price Guide Value for the coin are listed at $18,800 and $23,500 respectively. This flashy gem better date Saint is available in this week’s auction reserved right in that ballpark at $19,250. Why we love it: A nearly perfect example of this popular numismatic date from the Modern Lincoln Cent Series. The eye appeal is stunning as this registry-quality gem displays bright red, lustrous surfaces that are simply blemish-free. There is just one finer example at PCGS, which comes only with a plus grade difference as no 68’s or higher exist. Value: The PCGS Price Guide and more so the CPG Value are accurate with their estimates of $7,000 and $6,250 for this coin. We had another example of the exact date and grade combination sell in 2017 for $5,700. With that said, we are able to offer this beautiful piece for sale lower than all three numbers listed above at the best price of just $5,250 via Make Offer. Why we love it: A CAC approved near-gem example of this scarce and desirable Capped Bust Half Dollar with only 11 others graded finer at PCGS. This beautiful Bust Half is as close to a gem as it gets with its fully original well-struck, lustrous surfaces and lack of notable marks. Those characteristics along with its pretty complementary toning give it some of the nicest eye appeal you will see from an early Capped Bust Half at this grade. Value: The PCGS Price Guide Value of this coin is set at $9,500 with the CPG Value being a bit more generous coming in at the full $10,000. This lovely lightly toned, lustrous near-gem example of this popular, earlier date Capped Bust Half is available for purchase via the Make Offer function for just $8,750 even with CAC approval. 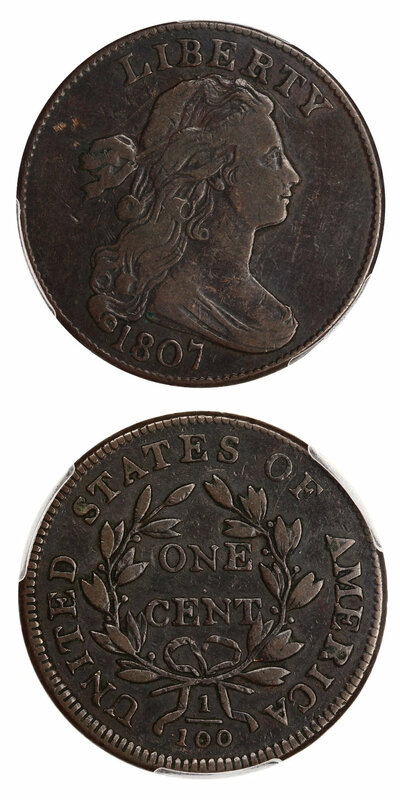 Why we love it: A more affordable, choice VF example of this popular Sheldon Variety from the Draped Bust Cent Series. The wear on this coin is light and even along with attractive chocolate brown coloring. A fair representation of a grade for a scarce, intriguing large cent. Value: The PCGS Price Guide has this coin valued at $2,000, in which our example is available for purchase at just $1,700 via Make Offer. That is a solid $300 discount off the PCGS Price Guide value for this slightly more reasonable example of this popular early Large Cent Variety. Why we love it: The “Closed 3” Variety of this Indian Cent Issue is far scarcer than its “Open 3” counterpart. This gem Red Brown example is at least 90% red making it a fantastic value considering in our eyes it well could have received the Red designation. That along with its pristine surfaces that are covered in plenty of luster make for lovely eye appeal. Value: The PCGS Price Guide sits at $4,250; however, our example is available for direct purchase at just $3,600 via Make Offer. That is a sizable discount of $650 off the PCGS Price Guide value for this beautiful nearly fully red gem example of this scarce Indian Cent Variety. Why we love it: A stunning near-gem Liberty Seated Half Dollar with incredible proof-like surfaces making it not just rare but also tied for the second finest known with the designation. The eye appeal these slightly mirrored surfaces create is captivating. It is simply gorgeous with its frosty luster and nearly blemish-free surfaces, which makes the CAC approval well-deserved. Value: This piece having the rare NGC-only proof-like designation on top of the CAC approval makes it certainly one of a kind and therefore incomparable to any price guide. However, our best price of $3,600 through our Make Offer function is available to acquire this special near-gem piece. We find it to be an excellent value at that price point. Why we love it: blazing red gem Lincoln Cent type coin. There are basically no blemishes making for clear bright surfaces that represent its superb gem grade well. The dripping luster and crisp strike just add even more perfection to its already stunning, flashy eye appeal. Value: Offered at $250 via Make Offer, we find that to be a fair price for this pristine gem. The comparable estimates from the PCGS Price Guide and CPG value of $300 and $292 further prove that our price point is an excellent value for this bright red Lincoln Cent. Why we love it: A popular late issue Liberty Nickel type coin. This gem possesses lovely light golden toning and surfaces so pristine, well-struck and free of marks that the CAC sticker comes as no surprise. The beautiful eye appeal is completed by its excessively strong luster. Value: Offered at $400 via Make Offer we find that to be a great price for a CAC approved gem level type coin in this series. The CPG Value has its estimate set $55 higher without even factoring in the CAC sticker’s premium at $455 further showing what an excellent value this is. Value: Available for $285 via Make Offer, we think this is a great price for this type coin especially considering the unique color. The PCGS Price Guide has its evaluation set $40 higher at $325 further showing what an excellent value this is to fill in a whole in a Liberty Seated Half Dime Type Set. Why we love it: A great type coin for any Bust Half Dollar type set at this price point. This piece is fully original with little visible wear and completely natural coloring. The obverse is even more attractive than the reverse with characteristics that are well reflective of the grade. Value: Offered at $345 via Make Offer we find that to be a fair price for this AU Bust Half type coin. The comparable estimates from the PCGS Price Guide and CPG value of $375 and $390 further prove that our price point is a fantastic value for this affordable Bust Half that is ready to be added to a fine type set.